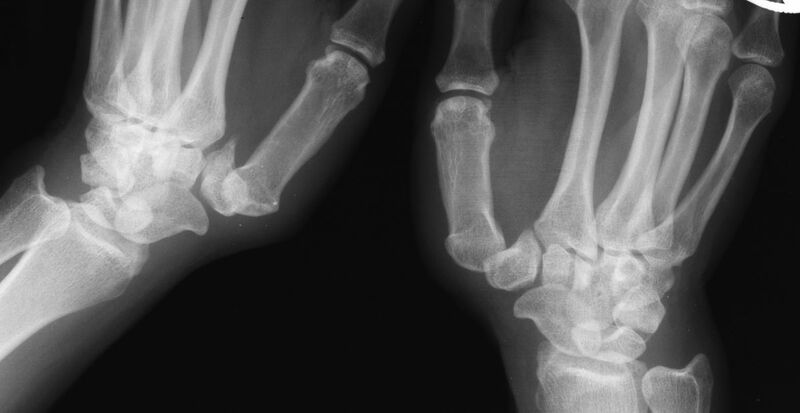 Basal joint arthroplasty is a common operation and the variations in technical approaches are a common topic of conversation for most hand surgeons. 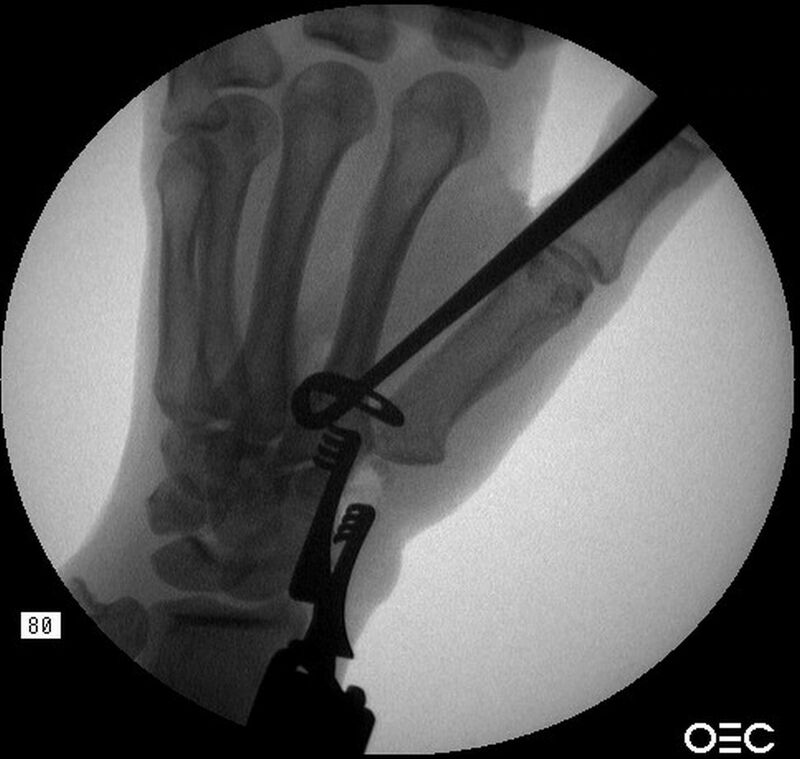 Below is a brief description of a technique for suspension ligament reconstruction. This is one of many possible techniques. 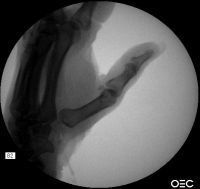 Summary: after trapeziectomy, a slip of abductor pollicis longus tendon is passed around the base of the index metacarpal and sutured to itself proximal to the metacarpal base. 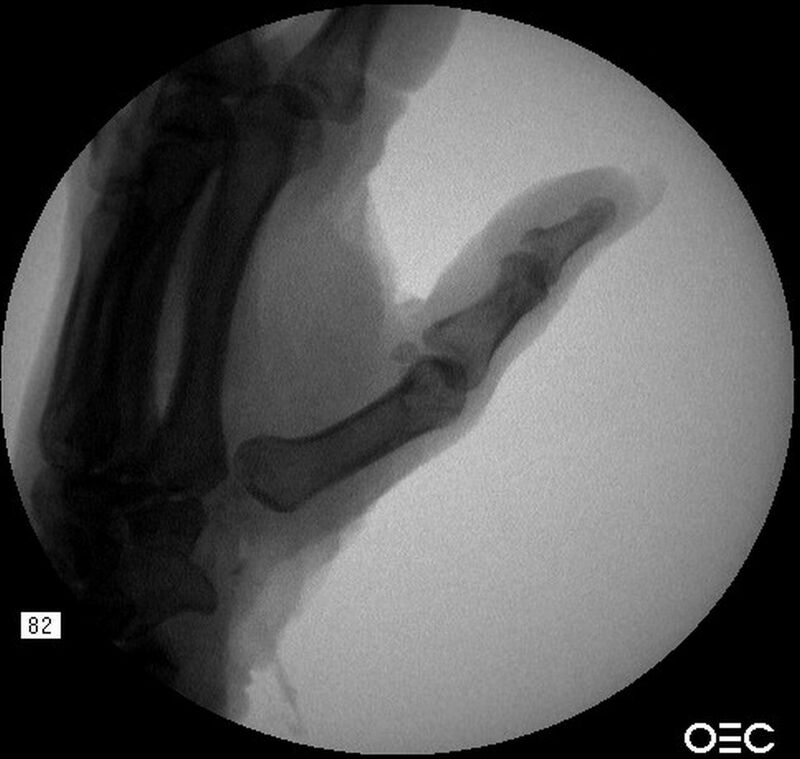 In this case, a vena cava ligature passer was modified to create the path around the index metacarpal base. 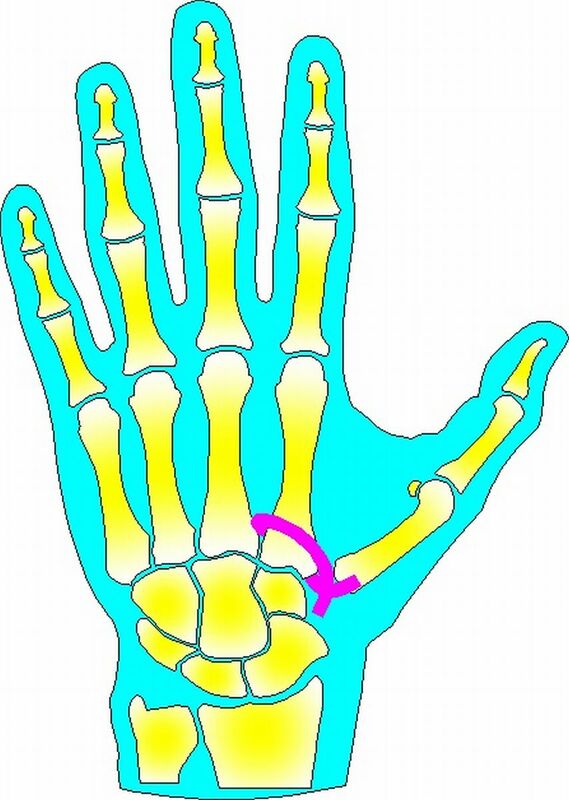 This technique allows a strong distal force vector, and care mist be taken to avoid overdistraction. 8 months postop. The trapeziectomy defect height is still maintained. 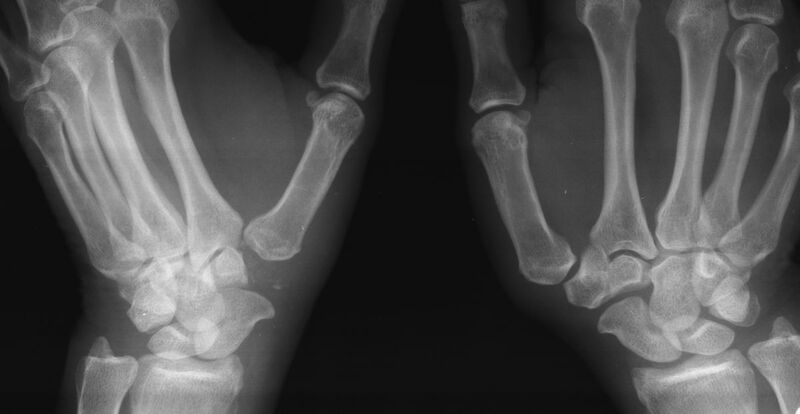 18 months postop, MRI for an unrelated diagnosis demonstrates the tendon loop path in the intermetacarpal space.